Despite the fact that her first album was a bit too Will.i.Am heavy, I have to say that I much prefer Cheryl Cole's 3 Words to her sophomore effort Messy Little Raindrops. At first listen, "Promise This" was just a cluster of noise (although it did grow on me) while follow up single, "The Flood" is just plain boring. The chorus is big and Cheryl's voice sounds good here but overall, the single isn't anything special. It's just another boring, decently performed ballad. Come on Cheryl! You're a judge on a reality series...pull out all of the stops and make an effort. I realize that she had a bit of a rough year but this album (despite the fact that it went #1) is just BLAH. I feel like 3 Words just had more flow than this one. I still like Cheryl Cole, I just had higher hopes. I'm inclined to agree with The Prophet on this one. Let's get Girls Aloud back together and stop all of this solo career nonsense! (Nadine - I'm talking to you as well!) "The Flood" was co-written by R&B singer and songwriter Priscilla Renea (of "Dollhouse" greatness) and Wayne Wilkins. "The Flood" will be out on January 3rd in the UK. Check out the perfectly pretty video below. I realize that I'm a little late with this one but better late than never. One of my FAVORITE UK imports, Frankmusik, is back with a new single and album and I cannot effing wait! The 25-year old Vincent Frank's (AKA Frankmusik) last record, Complete Me is one of my favorite albums of the last few years. Frankmusik is one of many new talents to be nabbed by Interscope Records imprint Cherrytree Records. Other recent Cherrytree additions include the fabulous Ellie Goulding and of course, the super fab Natalia Kills (check out my interview with her HERE), whom Frank has reportedly done a duet with for his record. Complete Me was just full of so many hits I don't know where it went wrong over in the UK. While the album did modestly well, peaking at #13 on the charts, the singles were not so successful. "Better Off As Two" peaked at #26 while follow up single "Confusion Girl" peaked at #27 while "Time Will Tell" only managed to crawl in at #173. An all acoustic re-release of the album followed later in 2009 but no more singles were released. Time to start work on new material! "The Fear Inside" is the first evidence of new Frankmusik material and BOY was it worth the wait. "The Fear Inside" is the first single to be lifted off his sophomore record, Follow The Leader and it's brilliant in every way. While not too different from previous releases, it doesn't really need to be. With Cherrytree behind him and given the fact that he's virtually an unknown here in the States, pop music lovers everywhere are going to hear this track and they are going to love this track. Arjan (from ArjanWrites.com) describes the song PERFECTLY, praising it for it's "Massive chorus, instantly hooky bassline and a tight, top-of-the-line production." He goes on to call it "Slick!" and "a fantastic introduction to all of the new Frankmusik hotness that is about to be unleashed upon the pop world." Indeed. Look out for an accompanying video and U.S. tour coming soon. Listen to the new song below (via ArjanWrites). AHHH! Exciting news. 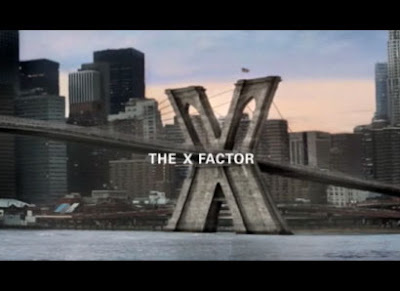 Entertainment Weekly's Michael Slezak has posted the very first promo for the upcoming U.S. version of X-Factor, the popular UK music reality competition (SLASH American Idol's downfall) that has brought us such great artists as Leona Lewis, Alexandra Burke, Diana Vickers, Dolly Rockers, etc. While the promo (which you can see HERE) is short and sweet, my appetite is officially whetted. What about you? American Idol or X-Factor? Who do you want to joining Simon Cowell as a judge on X-Factor? Talk about a match made in heaven, the new single from Dutch remixer, DJ and producer Sander Kleinenberg features the ever amazing jazz-pop singer Jamie Cullum! Absolutely brilliant. I like EVERYTHING about this song. The single was released off of Kleinenberg's latest European album, 5K on November 12th in the Netherlands and November 14th in the UK. The digital EP features remixes from Lifelike, Tapesh and Downtown Party Network. MUST GET MY HANDS ON THIS ASAP! No word yet on a U.S. release but hopefully there will be one. 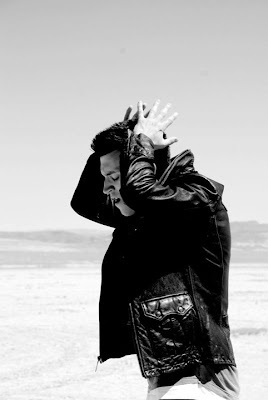 The beautiful video was directed by Alex Grazioli. Check it out below. 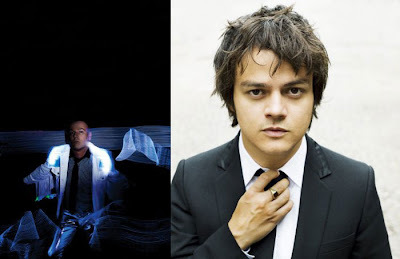 I love it when unexpected musical partnerships happen and Jamie Cullum pairing up with a Dutch DJ is definitely unexpected...in a good way! Is "Better Than Today" my favorite song off of Kylie's Aphrodite album? No. Does that mean I don't enjoy the music video? Of course not! What's not to like? The video's got bright disco lights, pink boas, sparkly stilettos and a little Rocky Horror homage going on. The clip Kylie Minogue/William Baker co-directed clip made it's YouTube/VEVO debut on November 19th. The single, the third off of Aphrodite, will be released in the UK on December 6th and features official remixes from Bills & Hurr, The Japanese Popstars, and Monarchy.The single was written and produced by Nerina Pallot, Andy Chatterly and Stuart Price. Sidenote: in advance of her featured performance on next week's Christmas Tree lighting ceremony at New York's Rockefeller Plaza, Minogue made a special appearance at this morning's Macy's Thanksgiving Day Parade, singing single #2, "Get Out Of My Way." Catch a clip of the performance HERE. Minogue will be performing her new holiday single, "Let It Snow" at the famous Rockefeller Plaza on November 30th, the day after she premieres it on Perez Hilton. The single will be digitally released on December 7th. It's always such a treat to see Kylie on American TV. Looking forward to the announcement about her planned U.S. tour. Now...go enjoy the "Better Than Today" video!